Their Skills, and Win More Football Games! At Football Tutorials, our job is to make your life easy. So we created a step by step guide to running football practice that works for every age and competitive level. Our Print n' Go Football Practice Plans ebook is jam-packed with 19 skill-building drills for throwing, catching, running, kicking, blocking and tackling. All organized into 5 step by step practice plans you can take right to the field! So no matter how busy you are, or how little experience you have, you can run an AMAZING football practice that will engage your kids (and impress other coaches and parents)... starting tonight! 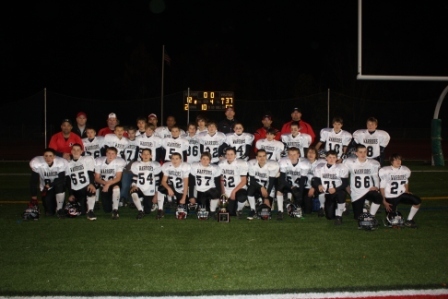 My 7th grade team, the Tri-Town Warriors of Deep River CT have won the Shoreline Youth Football Conference Championship for the AYF 7th Grade Division! We employ many of the drills and techniques from your material, and I refererence it often during the season to keep our drill work fresh. 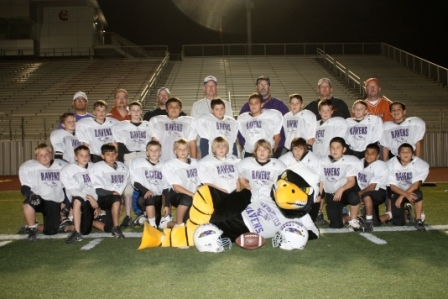 My little New Braunfels Junior Ravens had an undefeated season with 6 shutouts and only 3 touchdowns scored on them the entire season. We used quite a few of the drills and such from your books this year and it really paid off. Thanks! As a first time youth head football coach, I was looking for a system that would help me run drills and set up practice. Your practice plans have helped me immensely. Now there is a good tempo to practice with new drills, and the kids love it! Using the practice plans, we won the WLJFL Championship this year! We got more work done in less time, which gave us more time to run plays. Thanks Coach Steve for getting all the coaches together in this form. Since most of our youth coaches are dads who may have played years ago or not at all, I'm always looking for resources that can effectively explain drills and show how to plan an effective practice. Your guide has helped these dads become more organized and our kids are learning more and having fun. It was a huge help because it gave me tons of new drills to run throughout the year that I was not previously aware of. The program gave me drill options that I can use now when my boys are young and drills I can implement as they get older. Our record was 6-0-2 for the regular season. User Safety Disclaimer: Consult a physician and follow all safety instructions before attempting these football drills or any other workout. Football can be a dangerous sport and you should not attempt these drills without proper supervision and training. You can read our complete disclaimer here. About our Testimonials: Results featured on this site are not typical. We have made every effort to validate the testimonials, results, and success stories of the teams featured on this site. Each player's success depends on their dedication, commitment, motivation and work ethic. No guarantee of success, results, or level of achievement can be made.